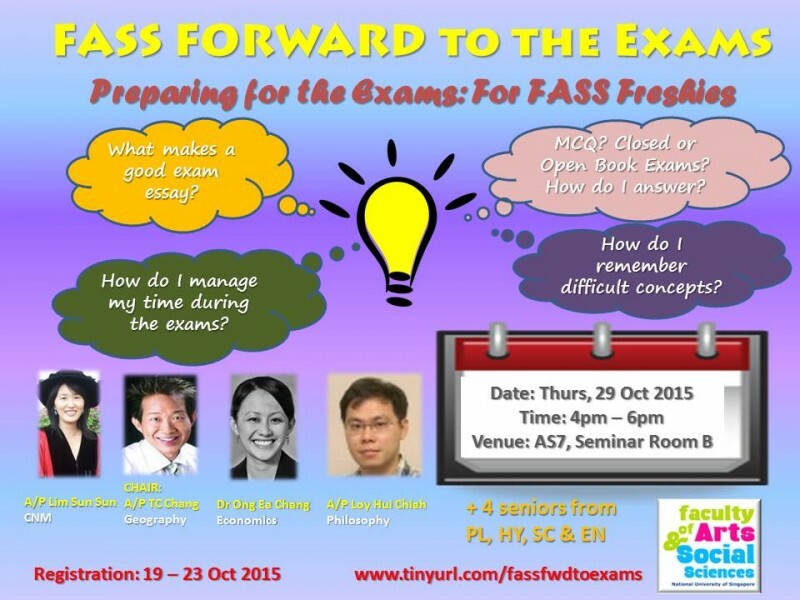 Specially designed for students in their first year, FASS Forward: Reading Articles & Writing Essays is a two-hour session where your lecturers and seniors will share some insight on how to deal with being a student at FASS. If you would like to learn how you can dissect academic readings or pick up tips on crafting your essay assignments, this session is for you! Together with 4 top-performing senior students, our very own FASS lecturers from Geography, Psychology, Philosophy and Economics will be there to share their personal experiences! Registration period open from 7 – 13 September 2014. Limited places available! 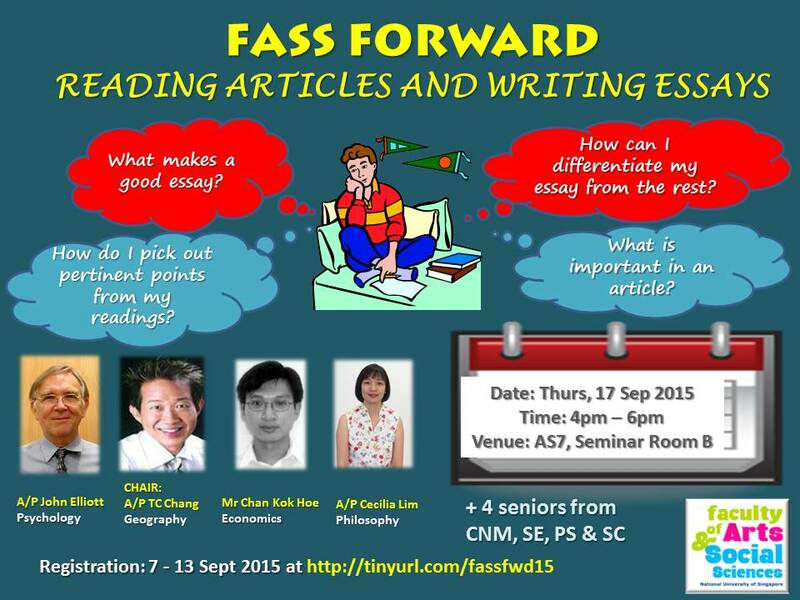 The video recording for FASS Forward: Reading Articles & Writing Essays has been uploaded on NUS Mediaspace. Please click HERE to view – restricted to viewing by NUS students and staff only (log-in required).